Prepare your daily serving of Bootea Shake quickly and simply using this little pink number, designed to mix a delicious shake every time! The Bootea Shaker is the perfect size for travel, home, office, the gym or the car meaning it is easy to shake your Bootea wherever you are! Bootea Shaker is rated 3.7 out of 5 by 7. Rated 2 out of 5 by Duddlebee from Leaking & fading logo The size and colours are adorable! However the logo washes off instantly after one round in the dishwasher and the shaker leaks after a few uses. Rated 4 out of 5 by Hollyyy from Good quality, perfect size. A really pretty little shaker. Size is perfect - just enough, and easier to carry around unlike some of the bigger protein shakers. I have used it for about a week now, and the writing is starting to wear off a little, which is a shame, but most shakers have this problem anyway. I've found that you need to push down on the grid before you screw the lid on and shake, otherwise it seems to come loose, and obviously then the solution doenst mix properly. Since I've done this though I've had no problem at all. It's good. I'd buy it again. Rated 5 out of 5 by Moll24 from Great product Great quality, just the right size. Easy to open/close. 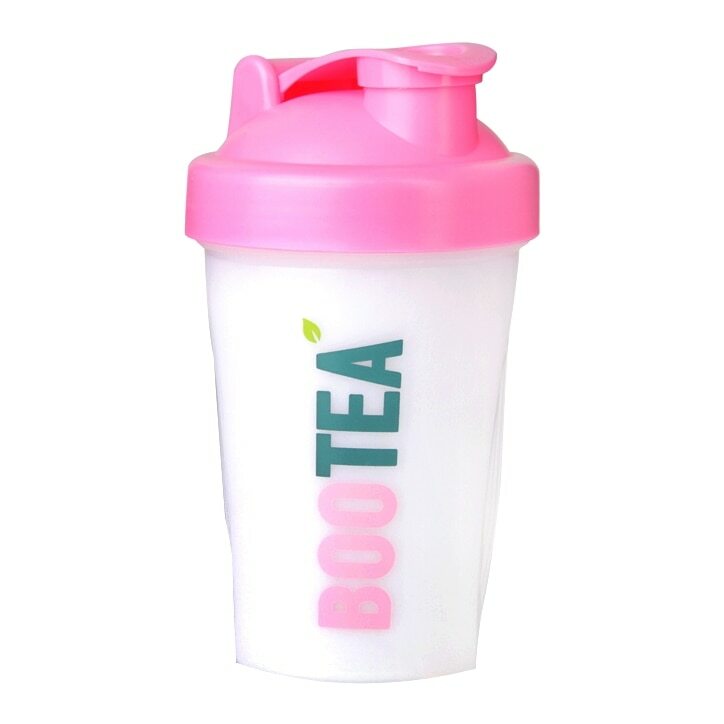 Most shakers are big and bulky but the bootea shaker is just right. I would recommend this one. Rated 5 out of 5 by Shea from Quality This item is not only cute but very strong and best of all does not spill, can even put water in and chuck it in your hand bag with all your uni notes and assignment with no worries. Rated 5 out of 5 by Vic37 from Great item Great little cup. Great for smoothies on the go! Looks really good. I love the pink! !